That iconic line from The Go-Between by L. P. Hartley is one of my favourite openings to any book I have ever read, and I used to think it summed up the past. The world of our ancestors would be so foreign to us. What would we possibly have in common with family members who lived so long ago? Many years ago, my mum decided to make my siblings and me a photo album each for Christmas. 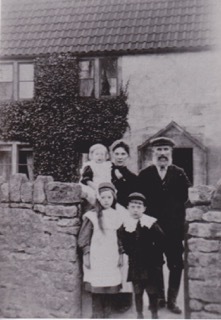 We had recently lost a very precious great aunt and great uncle, and my mum was concerned that one day there would be no one who could tell us the names of those in these timeworn photographs that she had. We had no idea that she was putting together these albums, and it did bring tears to my eyes when she presented me with mine. I had always been interested in where I had come from, and I was fascinated with programs such as Who do you think you are? One day, I promised myself that I would research my roots, but that was about as far as I got. Until the day my mum gave me that photo album. Now all families have their stories and mine is no different. The story was...we came from Scotland. 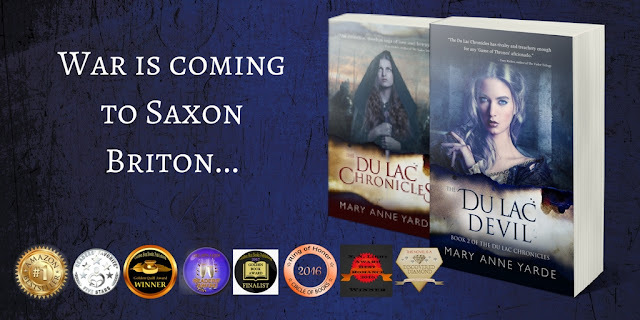 We had something going on with The Tudor Dynasty, although no one seemed to know what that meant. There was a Roman connection, which is hardly surprising, considering that Britain was once under Roman rule. And finally, there was something to do with the Vikings, but no one knew what that was. It was, I thought, a concoction of nonsense. Just a story that sounded good when children asked. Still, this photo album gave me the motivation I needed. Like any amateur genealogist, I started with what I did know and slowly I began to make a picture out of the jigsaw of the past. I signed up to ancestry, and suddenly the world became a great deal bigger. It wasn’t just about stalking dead people; it was about connecting with relations I did not even know existed in the first place. And suddenly, what started out as a solo project became a team effort. 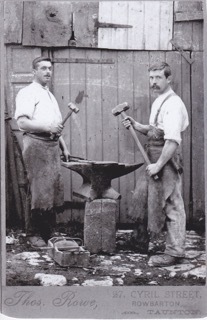 William, my Great Grandfather, was a blacksmith ~ he is the one on the right, with the very cool moustache! Not so long ago, I was contacted by a cousin who said she had some photos and information that she wanted to share with me about my GG Grandmother, and my namesake, Mary. What she had, literally left me speechless. It was a treasure trove of photos, going back six generations. A family Bible that is around 170 years old. A pressed buttonhole from a wedding that occurred in 1845 — The blue of the forget-me-nots could still be made out. I had to blink back the tears when I saw it. 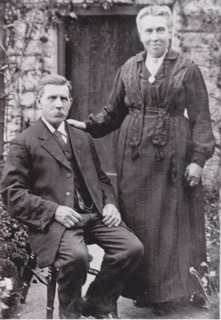 Mary and George, my GGG Grandparents. One of my GG aunts, it turns out, was a midwife and my cousin had her, I guess we would call it a work diary. In amid her jobs listed for the day, was the words, "Don't forget the flour and the eggs for the cake." - Maybe someone was having a birthday. There were ledgers, shopping list with the price of everything next to it. Some of the items had been crossed out - they were too expensive to buy. And there was a book of sums, where my GG Grandmothers was trying to stretch the money out for the week. What could she do without? And as I looked at all these amazing things, I smiled, because their concerns are the same concerns that we have now. Paying the rent. Shopping. Recording births and deaths. Maybe the customs would be foreign, but the rhythm of life was the same. Another family member presented me with letters from The Great War. These letters were from my Great Grandparents to my Grandfather while he was stationed out in Egypt. Some of them made me laugh, and others made me cry. Reading those words, which were written over a hundred years ago, I could, as a mother, understand the fear beneath the encouragement as my Great Grandmother wrote about the weather and the price of flour. She wrote about mundane things that circled the fact that her son was in a foreign country fighting a war. The letters would always end with, "It will not be long, and you will be home. Have patience and may God bless you and keep you safe." Thankfully he came home. I was told the story of my Great Uncle, who was in a bomber squadron in WW2. He had completed his first tour of duty, but he volunteered to go back for a second. Then one day the dreaded letter came. He was missing over the channel, presumed dead. My Great Grandmother was so distraught that she foolishly went to a fortune-teller who told her that one day her son would come home – she believed her, but he never did. 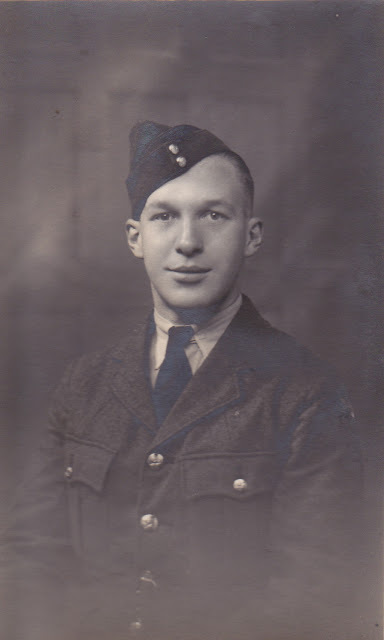 My Great Uncles in his RAF uniform. These names on a family tree suddenly came to mean more than a date of when they were born and where they died. Suddenly, I could fill in those missing years of their lives. I could see their handwriting. I could smile along with them as they communicated news in their letters. I could flick through the pages of a book and know that this was a treasured possession. I could take a dried brittle buttonhole and lay in the palm of my hand and know that this had been so important to that couple, my many great grandparents, that they wanted to keep a memento of their special day, forever. 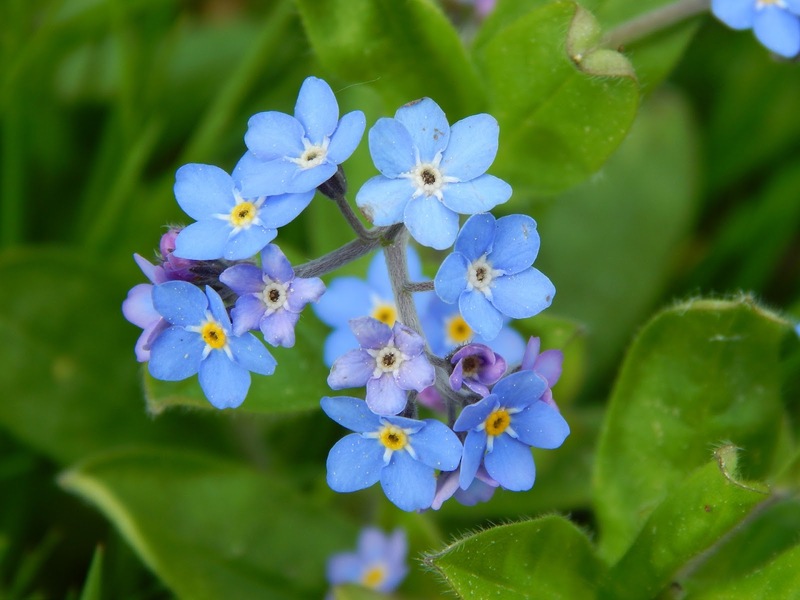 The forget-me-nots suddenly took on a whole new meaning. And I knew that Hartley was wrong when he said the past is a foreign country. The customs may be very different to what we know now, but some things are the same in every generation, and they always will be. Love, hope, joy and grief. We have a lot in common, and there is a great deal that our ancestors can still teach us. Now, I guess you want to know about those Vikings, Scotland, and the Tudors. Did I find them? Or was it just a family myth? 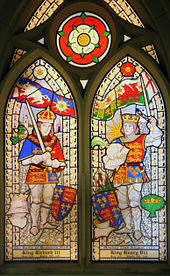 I'll start with the Tudors - for those who know their history, The Battle of Bosworth Fields, was the climax to the long and bitter War of the Roses. My cousin was there, at Bosworth. He, umm, left it to the last minute to decided which side he would fight for and when he finally committed, it wasn’t on the side of his King, Richard III, but on the side of Henry Tudor! I am, of course, talking about the Stanley’s. My side of the Stanley family had the good sense to stay out of it. I guess being the younger son sometimes has an advantage. The Stanley’s were not the only members of my family at Bosworth. 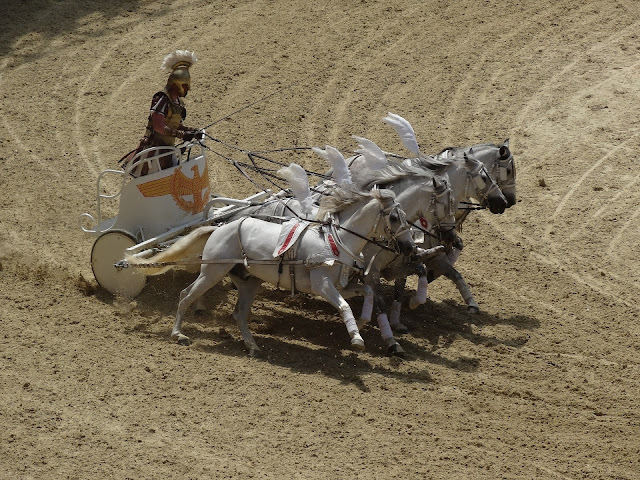 My cousin, Richard, was there, fighting for his throne. It was a battle he would lose. 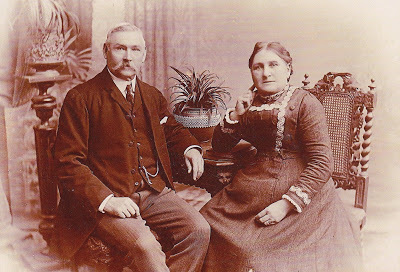 It didn’t take long to find my Scottish ancestors, and of course, they were always in the thick of it. Fighting the English and trying to win back their country. 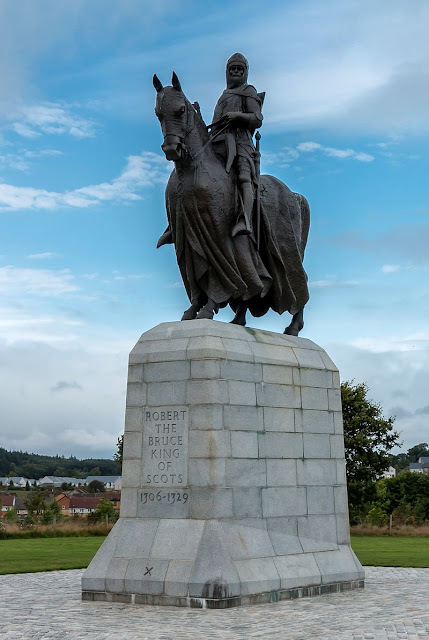 I believe a cousin of mine did the impossible and "sent him homeward, Good Edwards army, to think again..." at Bannockburn. He then went on to become King of Scotland ~ a family tradition it seemed. For not only can I claim the Bruce Clan as ancestors but also the MacAlpin’s ~ the first Kings of Scotland. A cousin of mine had one of those DNA test’s done, and she was very excited when the results came back. The Viking connection was not a family myth, far from it. 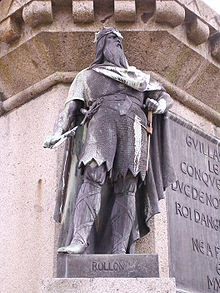 If you are a fan of Vikings, then you will know whom I am talking about when I speak of Rollo. It turns out he is my many greats grandfather too. Who knew?! I could waste hours away looking at records, and I have been asked, how can you possibly enjoy that? I’m a historian. I love it. I wanted to know where we came from, and I have done that. I love the fact that I can trace my ancestry back to William the Conqueror, Harold Godwin and Harald Hardrada — the three central players in the year 1066. Now that gives a new meaning to the word irony! Yes, I found them too! Although when we go back that far, the records are not as reliable. Searching for your ancestors is like going on an epic treasure hunt - you never know what you are going to find. I even found a highwayman - now I wasn’t expecting that - unfortunately, he didn’t live to tell the tale, poor man. English justice back then wasn’t very forgiving. And I like reconnecting with family members and listening to their stories. Now it’s your turn. Who do you think you are? The Du Lac Chronicles series!